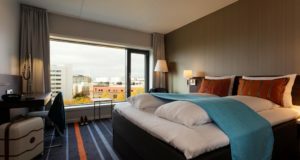 Reykjavik Konsulat Hotel, Curio Collection by Hilton is accepting reservations for arrivals from March 29. Hilton’s “collection” brands continue to expand, with more than 75 hotels in the combined Curio Collection and Tapestry Collection pipeline alone. Among these is a new property that features amidst the many 2018 openings in Iceland. 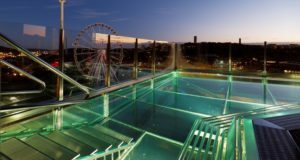 Curio Collection comprises “nearly 50 one-of-a-kind, upper upscale hotels around the world”, according to Hilton, while Tapestry Collection, which launched last year, will more than double its portfolio. 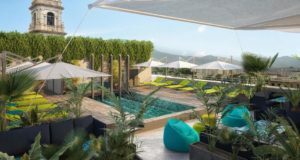 “Our robust pipeline will soon bring Curio Collection by Hilton to over 100 hotels and resorts by 2020,” says Mark Nogal, the brand’s global chief. 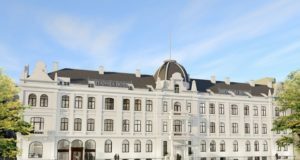 The property in Iceland, with the title Reykjavik Konsulat Hotel, Curio Collection by Hilton, is currently accepting reservations for arrivals from March 29. With the address Hafnarstraeti 17-19, the Reykjavik Konsulat has a location in a building that used to be “a historic 1900s department store”. 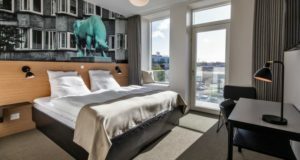 The “new charming property boasts eclectic architecture maintaining elements of the former building with a modern nod to Icelandic culture and is steps from Harpa Concert Hall, Parliament and local attractions,” Hilton explains. 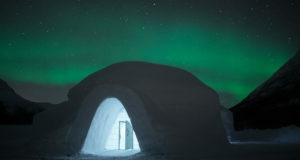 Guest rooms are “uniquely Icelandic with eclectic architecture and natural building materials”, with “a 49-inch HDTV, complimentary WiFi, mini-refrigerator, espresso machine, tea kettle and laptop-sized safe”. Suites have more space and a separate living area, like the diplomat suites with a corner room and “a beautiful private terrace”. The “luxurious amenities” include a spa featuring “an original 19th-century stone wall that reflects Iceland’s tradition of natural bathing”, while “an award-winning chef is at the helm of our hotel restaurant and bar, open all day”.